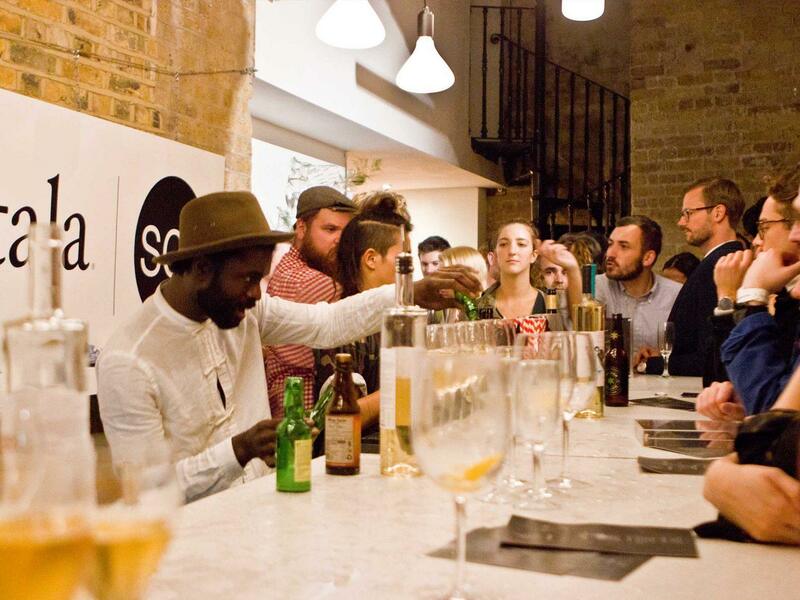 On Tuesday 19 September we ventured under the arches for a very special London Design Festival event. 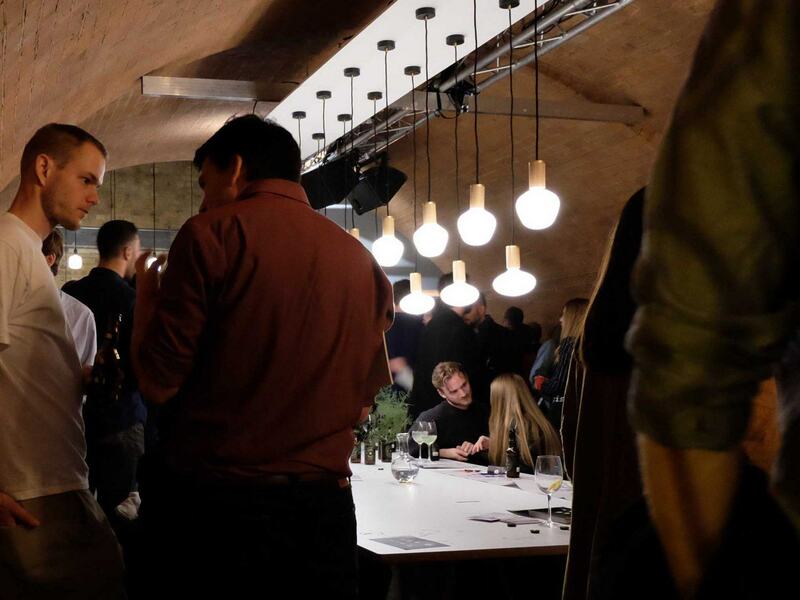 Hosted in collaboration with the pioneering lighting brand Tala, the one-day event saw the restored Victorian arches of the former Shoreditch station transformed into a design destination. The atmospheric space, punctuated with curated room sets and an introspective mirrored lighting installation, transitioned fluidly from day to night. Featuring a daytime showcase of new furniture and lighting open to all, followed by an exclusive evening event. The event in its entirety gave opportunity to celebrate the latest pursuits of both companies, and their freshly formed partnership, in a space like no other. So no matter where the Design Festival took you, join us as we journey back ‘Under the Arches’. 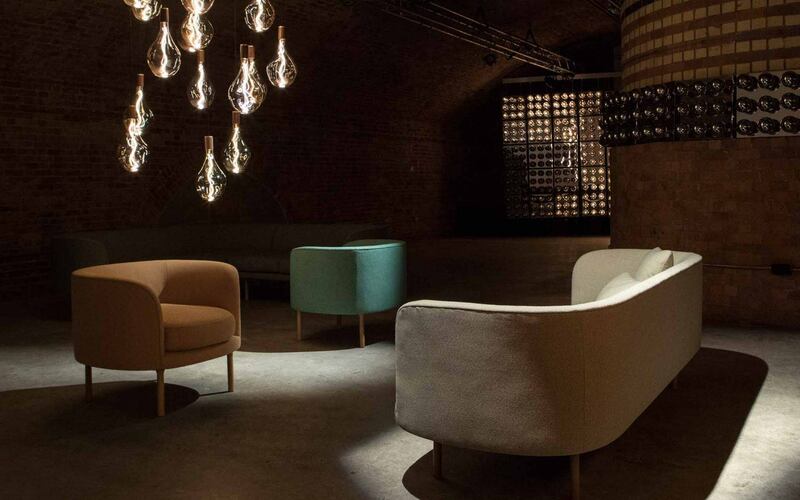 The installation saw a selection of SCP upholstery and furniture illuminated by Tala lightbulbs, each pendant specifically chosen to compliment the product and surrounding interior space. 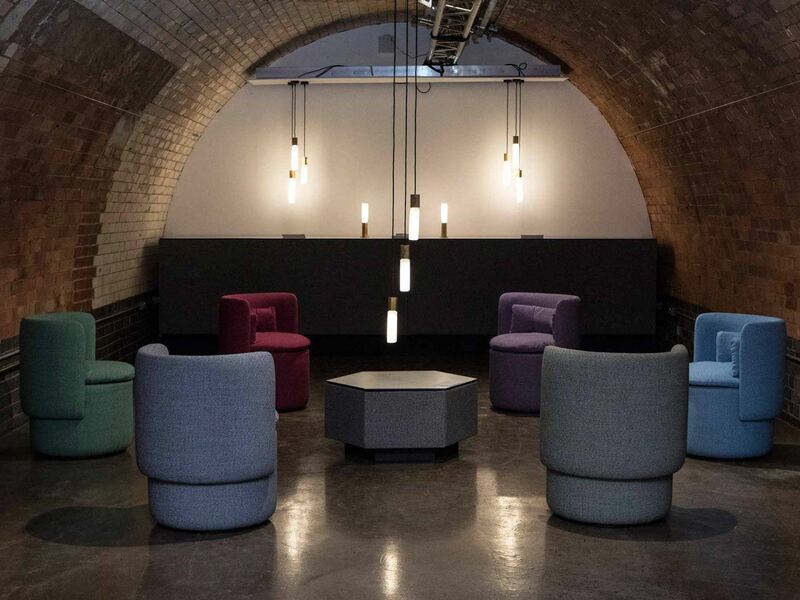 A circular seating arrangement of Group armchairs welcomed visitors, all upholstered in Kvadrat’s new Skye fabric by Georgina Wright. 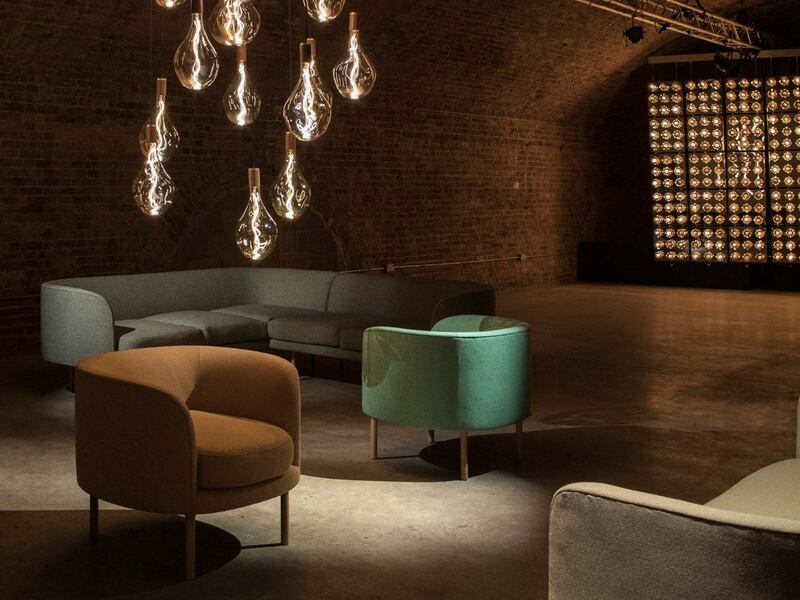 London Design Festival also saw the launch of the Group Sofa by Philippe Malouin. 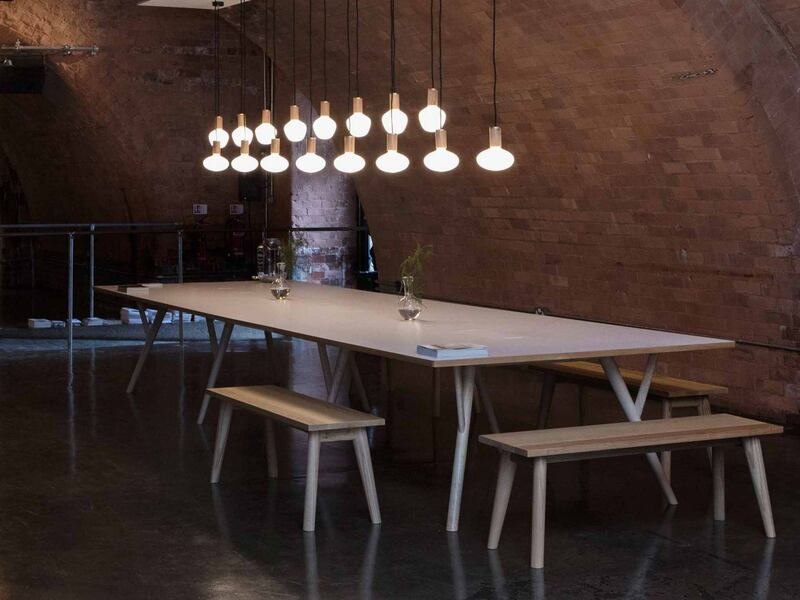 The Peggy workbench provided a table top and presentation space, lit by shapely bulbs from Tala’s Porcelain range. Created to suit the space, the Peggy Table System is a highly customisable design by Pearson Lloyd suited to both commercial and domestic spaces. Central to the inner-most chamber was the Continuous sofa system. Notable for its curves, the updated design by Faudet-Harrison is now available as a sectional sofa. Displayed alongside two Continuous armchairs, the pieces were illuminated by Voronoi, a collection of LED lights inspired by patterns found in the natural world. Sheridan Coakley, founder of SCP. As the natural light outside faded, it was time for the next phase of the event to spark into life. 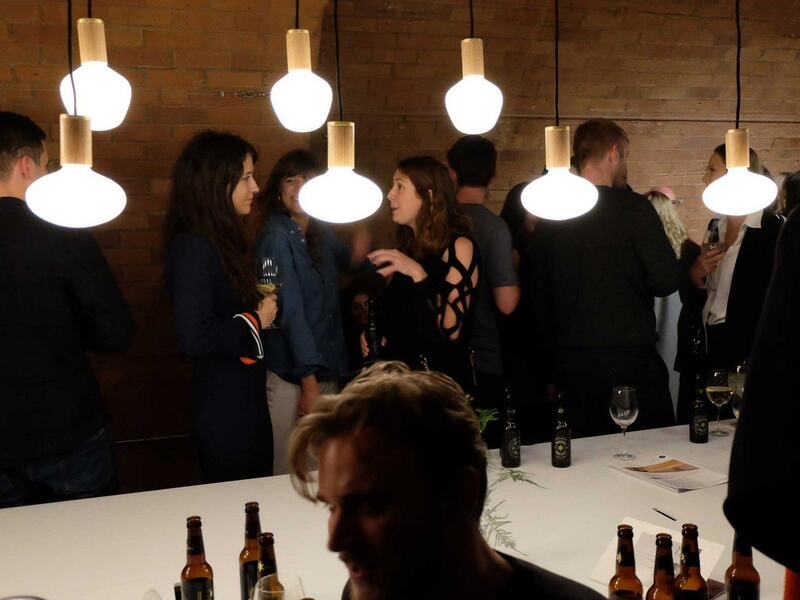 The invitation-only event united this exciting arrangement of furniture and lighting design with some of the best food, drinks and music that Shoreditch has to offer. 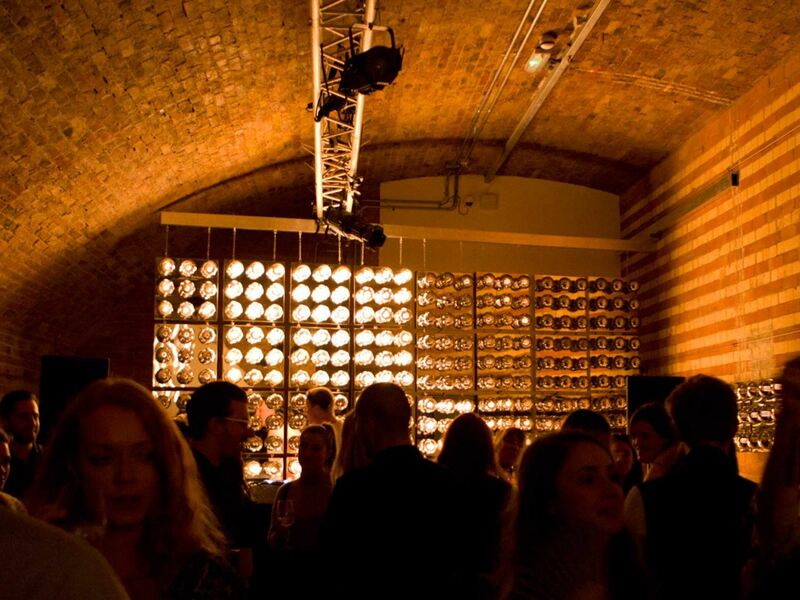 After all, if we’re going to celebrate London Design Festival, we’re going to do it in style. Watch the video below for even more insight into what happened ‘Under the Arches’. Tala is a British lighting brand with an equal focus on design and sustainability. Their environmentally conscious light bulbs draw upon pioneering LED technology, classic decorative qualities and British industrial influences. Since founding Tala have remained committed to their ten trees programme, with ten trees being planted for every 200 products sold.